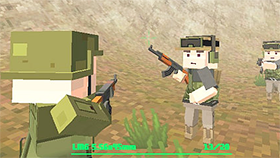 Blocky Army by DC Media, Inc - developer of many fabulous games is the strategy and war game designed with fantastic 3D graphics. It is still a hot game despite being published in 2016. Your mission in that game is creating a squadron to fight against any enemy assaults, find and destroy their bases. You play as a leader so you have to assign the task to each soldier. You have to arrange their position and understand the strengths as well as weaknesses of your team. 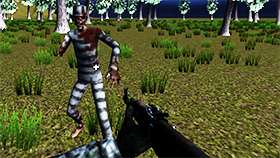 You have to manage and have the best strategy for your army to defeat and destroy enemies. 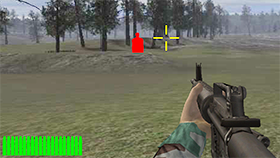 When you place your soldiers into the green square, the game is started. So, you have to consider to place them strategically to get a chance of winning. When you complete each level of that game, you get stars and move across enemy territory. You will use the stars to upgrade or exchange items to make your army more powerful. That game requires as well as improve management and leading skills of players. You need a strategic mind the get victory in each battle. 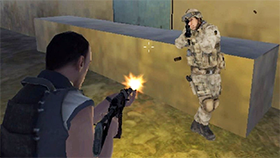 If you are interested in the army games, you should not ignore that game. You can play it right now in the Freegames66.com. The version for Blocky Army is unlocked and everyone can join free.